Rachel Luna is pleased to serve as executive director of Project Transformation DC. Rachel is a recent graduate of Wesley Theological Seminary where she earned a Masters degree in Theological Studies. 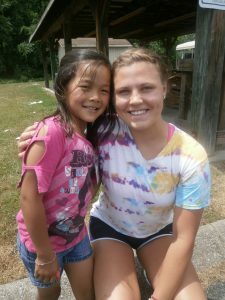 Before attending Wesley, Rachel worked as the Missions and Outreach Assistant at Franklin First United Methodist Church in Franklin, Tennessee. Over the past eight years, Rachel has gained experience through service with Project Transformation North Texas and Tennessee in various leadership roles. Her PT career started in 2009 as a Mountain Biking Coordinator in North Texas. 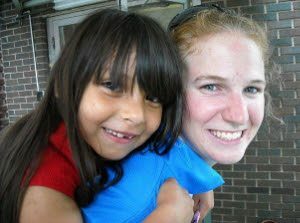 After surviving a summer of mountain biking in Texas heat, she served a second summer in Dallas as a youth intern in 2010. After graduating from the University of Tennessee with a degree in Social Work, Rachel worked on the first ever intern leadership team with Project Transformation Tennessee. Her final term as an intern was as a year-round site coordinator in Dallas. As a young child, Rachel struggled to read, but was extremely fortunate that her parents had the financial means to provide the support and help she needed. At the age of 19, through serving as an intern with Project Transformation, she saw children facing the same struggles that she did. The only difference was that she was born into a family that could afford tutors and specialists while other children lacked the access to such resources. Rachel fell in love with the mission of Project Transformation as her life was transformed by the understanding of how fortunate she has been, and she felt moved by God to work for change. In fact, Project Transformation helped her discern her calling that eventually led her to Wesley Theology Seminary and to Washington, DC, where this newest PT chapter will take root. She is thrilled to be part of an organization that truly lives into its name and transforms lives and communities through relationships. Sarah Fuquay is excited to begin as executive director of Project Transformation Indiana.